The whole concept of a complete rest day really does work wonders for the legs. Even if you really feel like running and don’t think you need to rest, if you are truly due for a day off, take it. I ran seven miles in the frigid weather yesterday morning and felt great. Well, great aside from waking up with a strange feeling in my stomach that made me want nothing but cold cereal for breakfast. Who am I to wake up and want a cold bowl of cereal? Thankfully my stomach started to feel a bit more normal by lunch time when I was due to meet one of my best friends for her birthday lunch at Nisen. Sushi on an off-feeling stomach would not have gone well and since it is my favorite meal to enjoy, I would have been pretty upset to have to skip it. Did I mention that I recently completed the coursework required in order to receive my Professional Certificate in Sports Nutrition And Performance? 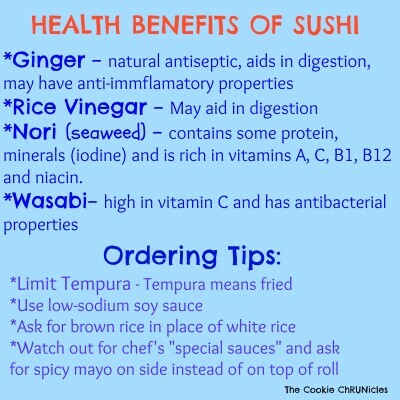 I loved every ounce of the information covered throughout the program and really enjoyed one section in particular which discussed the health benefits of eating sushi. I just made your day, right? 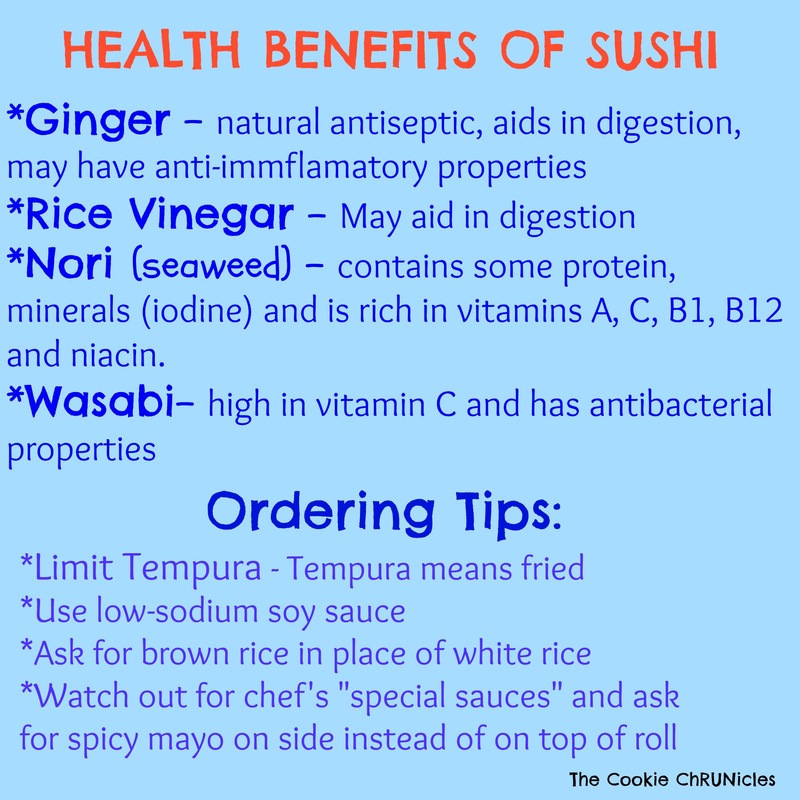 If you were looking for an excuse to enjoy your favorite rolls more often, the health benefits associated with a lot of the ingredients makes consuming our favorite food part of a healthy and balanced diet. I used to avoid the ginger on the plate and I don’t even know why. Yesterday we actually ordered extra ginger on the side; anything good for digestion is a friend of mine. For the longest time, sushi made me feel sick. I craved it and loved eating it but then my stomach would bother me for hours and I couldn’t determine the culprit. After several experiments with various rolls, I concluded that the tempura portion was the problem. You may love your shrimp tempura but in case you weren’t aware, tempura means fried. My stomach clearly isn’t used to fried food and as soon as I started ordering my rolls without tempura involved, I never had an issue again. 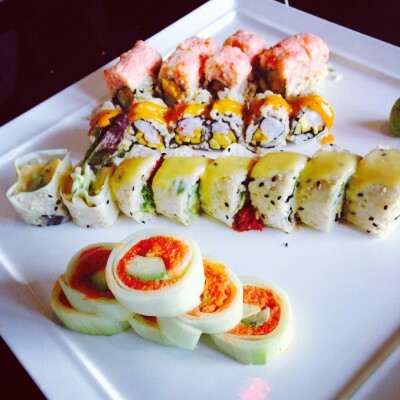 Sushi rolls can be prepared the way you request; ask your server to swap out the shrimp tempura for regular cooked shrimp. I also request brown rice in place of white rice to bump up the complex carbohydrates and nutritional content of my meal. Speaking of rice, if you are like me and enjoy ordering a ton of rolls, you may want to pay attention to the amount of rice you are consuming. The tiny little rolls can be misleading. If you were to unwrap a sushi roll, there is a lot more rice involved than you think. Lots of rolls= lots of rice. To avoid a rice overload, try balancing out your plate with one of my favorites – the Naruto Roll. 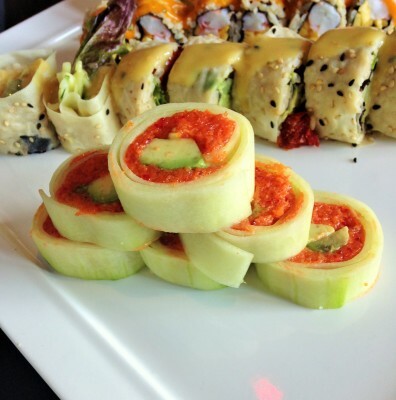 Naruto rolls mean that cucumber is used as a wrap for the sushi without rice. Is it just me or does eating sushi just make you crave more? Lunch was so good yesterday that all I want is sushi again today. 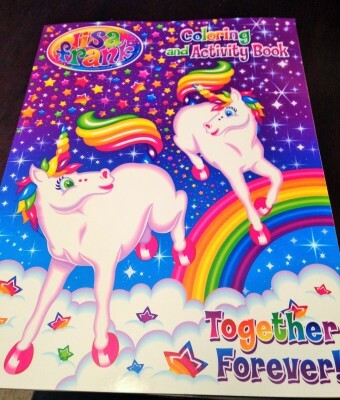 I realize I don’t have a daughter but I wasn’t looking to buy this Lisa Frank coloring book for anyone but myself. Sunshine and Unicorns make me happy; as does coloring. I used to find baking to be therapeutic but I have started to question that relaxing hobby of mine since baking requires cleaning and I don’t feel like cleaning the kitchen more than I have to these days. Coloring though? Involves no mess and is extremely relaxing for the mind. 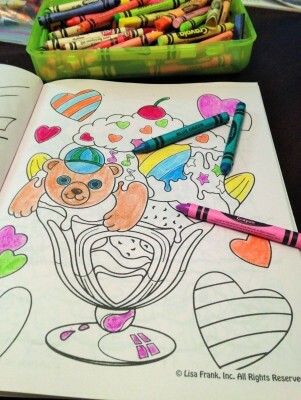 Relaxing until you can’t find the right shade of pink that will enhance the picture of your bear floating in an ice cream sundae…. Do you love sushi? What are your favorite rolls? How do you like to relax – baking, knitting, reading, coloring? 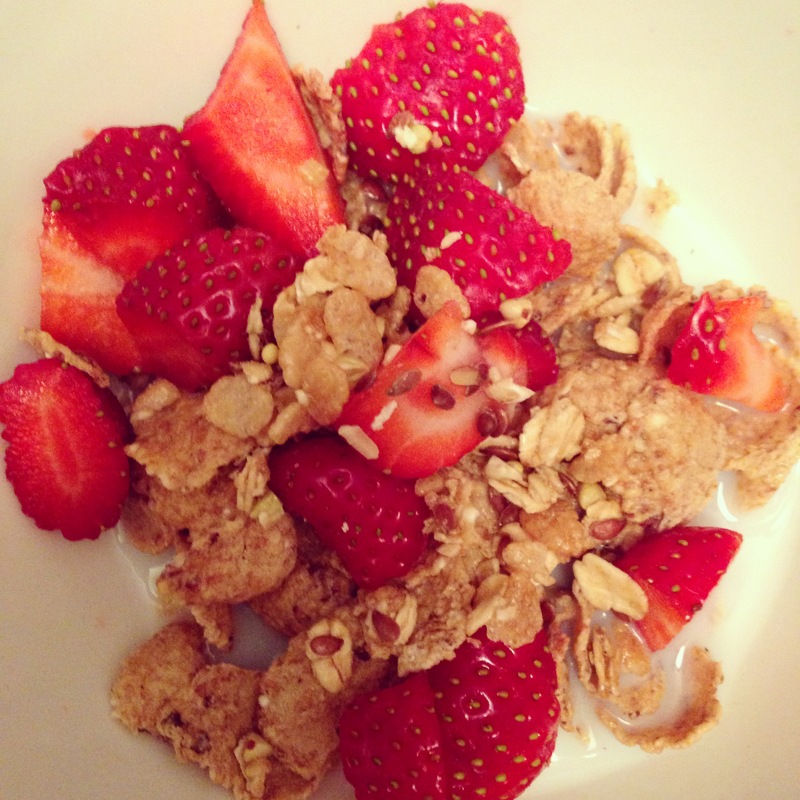 Last time you eat cold cereal for breakfast? YOU LIKE COLORING BOOKS TOO?!?! Kind of freaking out right now. You know that’s my favourite activity right? Well when you can pull me away from the TV lol. Also I eat pickled ginger straight from the bottle. It tastes amazing on some cucumber with cottage cheese. Trust me! 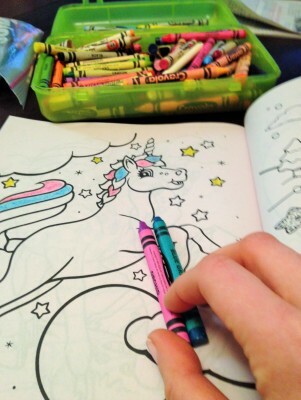 Want to come over and color with me? I have an extra Hello Kitty coloring book and plenty of crayons! 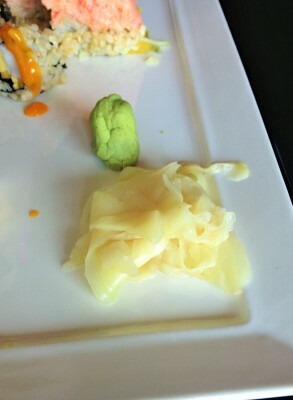 Recently I’ve really been digging sashimi over sushi and I like to load up my soy sauce with tons of wasabi. I’m on the fence about the ginger, in general I like ginger, and I’ll eat a piece or two of the pickled version on my plate but I’m still not quite onto it yet. One of my favorite rolls is a shrimp roll that is wrapped in mango instead of rice and seaweed. I love mango in my sushi, especially the rolls with mango sauce but is it weird that outside of sushi, I won’t touch mango? The vegetable rolls are just as good as the fish ones! In fact, one of the rolls in the picture from yesterday was a “Mama Buddha” roll – all vegetables including sun-dried tomato wrapped in soy paper. One of my faves! I may be one of the only people I know that doesn’t like sushi — the thought of it actually skeeves me out more than I care to admit, but I try to keep that fact on the he downlow since people are so gaga about it… Colouring books, on the other hand? Adore them. Is it weird that I kind of want to head to Target to see if I can find that one? I was just like you until I was 31- never touched sushi and only ate the standard teriyaki dish if I ended up in a Japanese restaurant over the years. Now though? It is my favorite meal and I actually feel bad that I missed out on sushi for the first 30 years of my life. Sushi is one of my MOST FAVORITE foods !!! I could eat it every day 🙂 and I always order extra ginger I am obsessed. Normally I order one spicy roll and then a few normal ones or I really love the “rainbow roll” !!! I actually really like the house salad with ginger dressing although not sure how healthy that is really… I def relax by baking, love to do it on the weekends. Surprisingly, I have heard that the ginger dressing isn’t as “bad” as most of the other dressings out there. I love it too – just order it on the side if you are nervous about overdoing it.